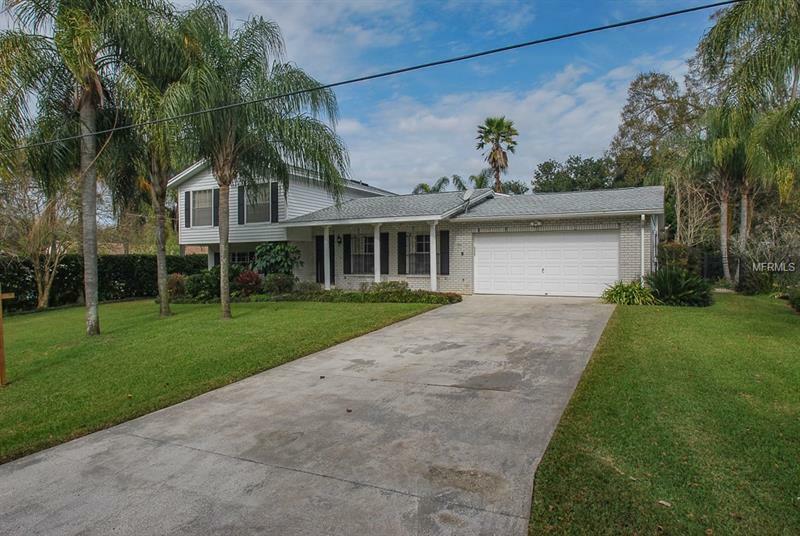 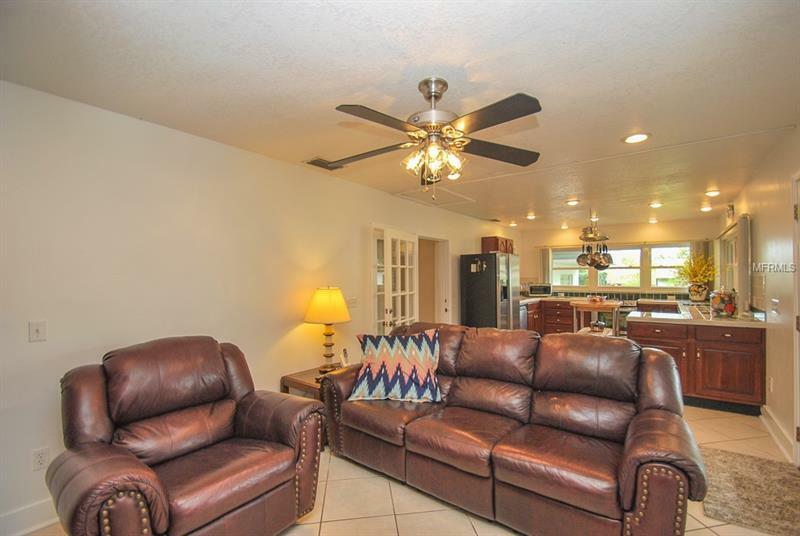 Welcome to this spacious home that features a three-way split floor-plan, with 5 bedrooms and three full baths there is plenty of room! 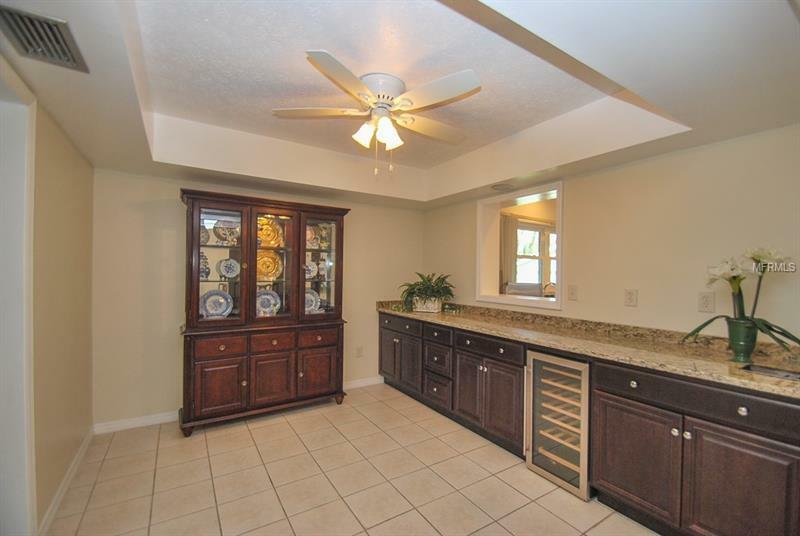 The main level features a living room, dining area and an additional entertaining space, complete with a wine fridge granite countertops and additional cabinetry. 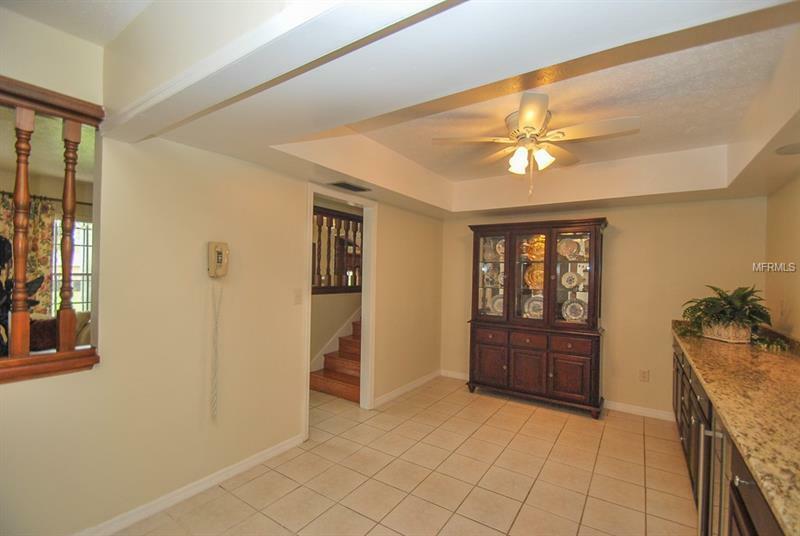 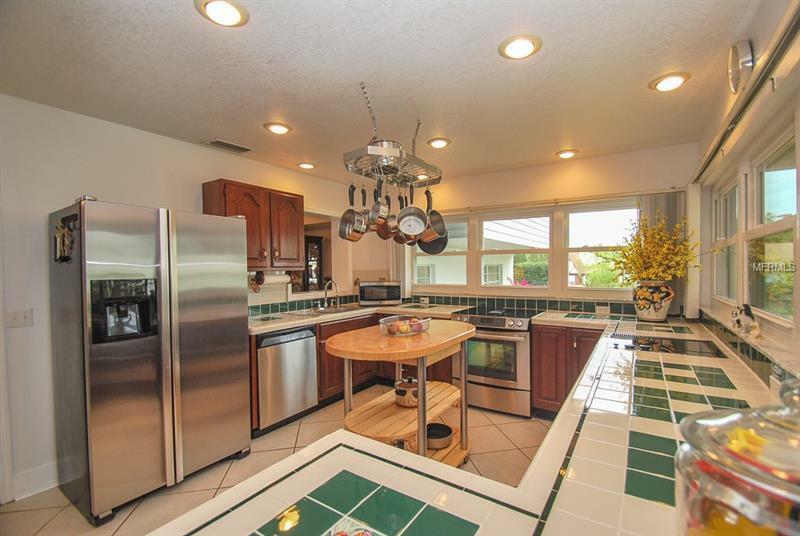 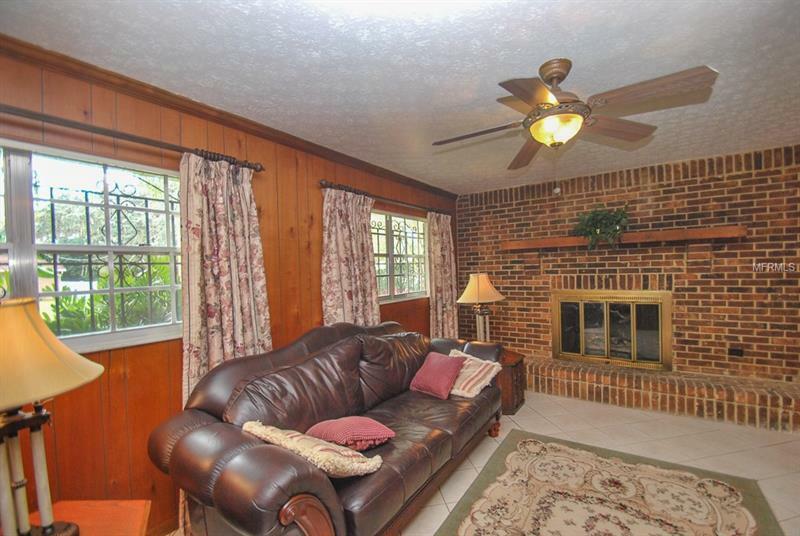 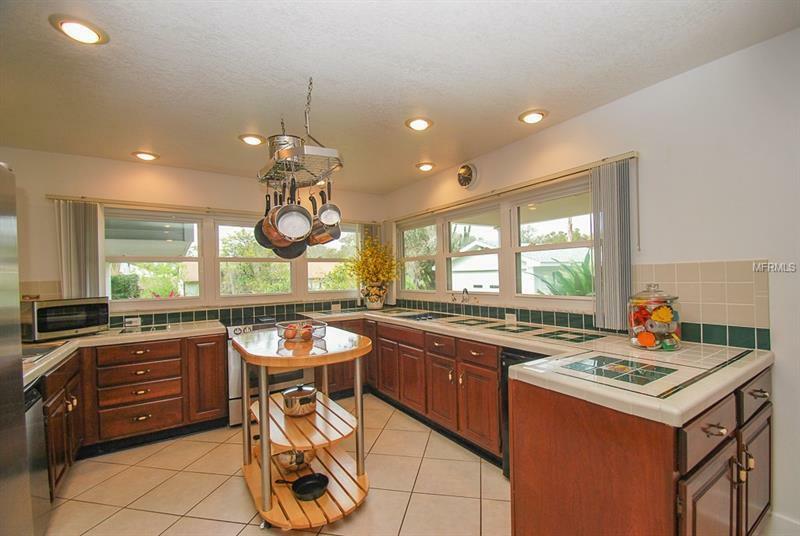 The kitchen with updated high-end appliances looks out in the peaceful backyard and opens up into the family room. 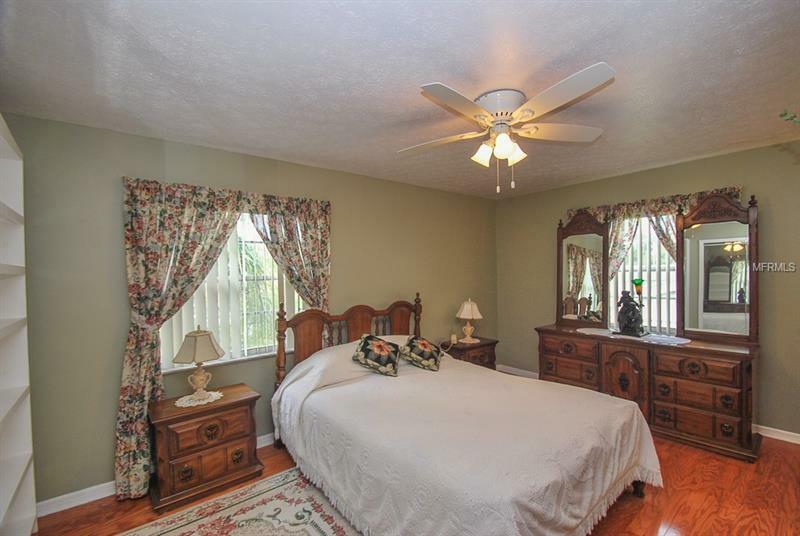 The down stairs master bedroom is spacious and features an attached en suite. 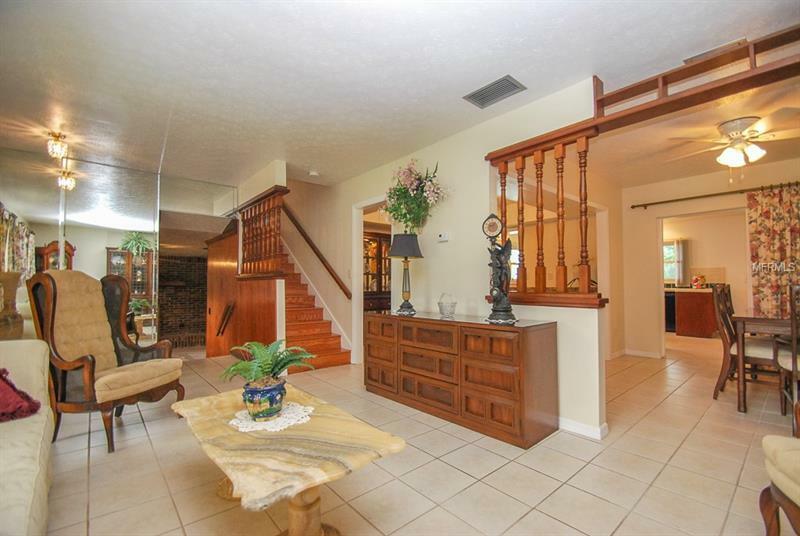 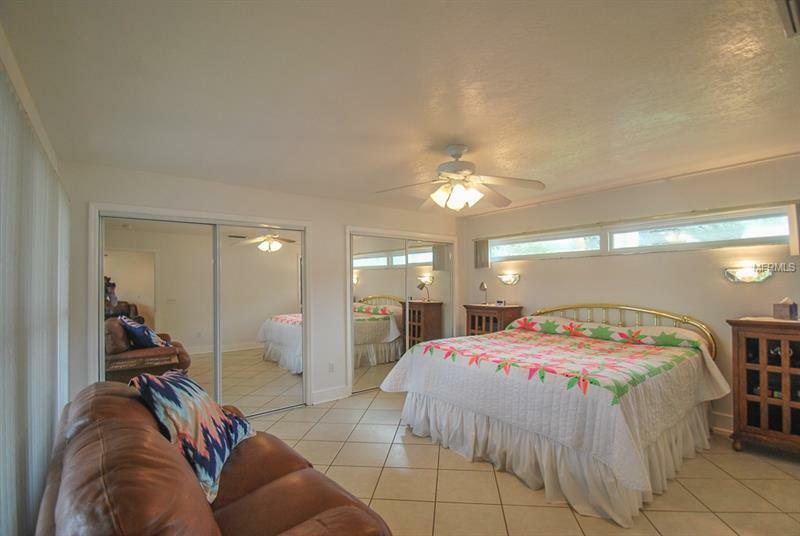 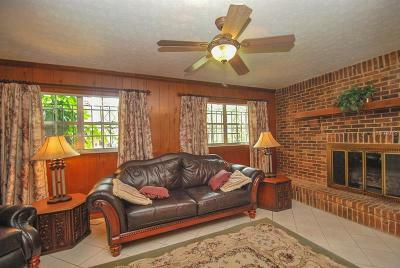 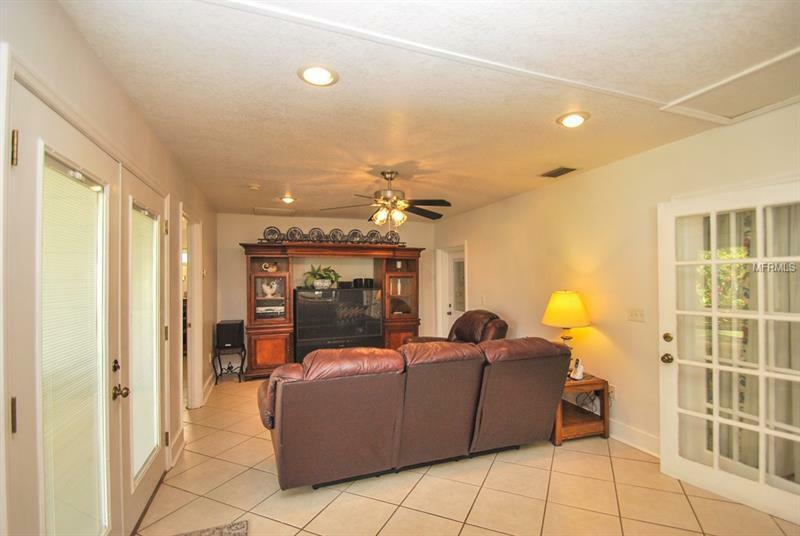 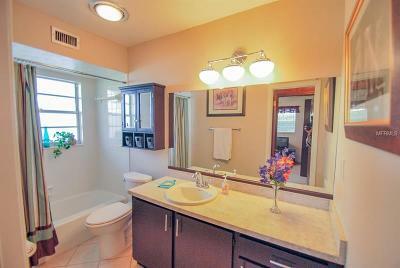 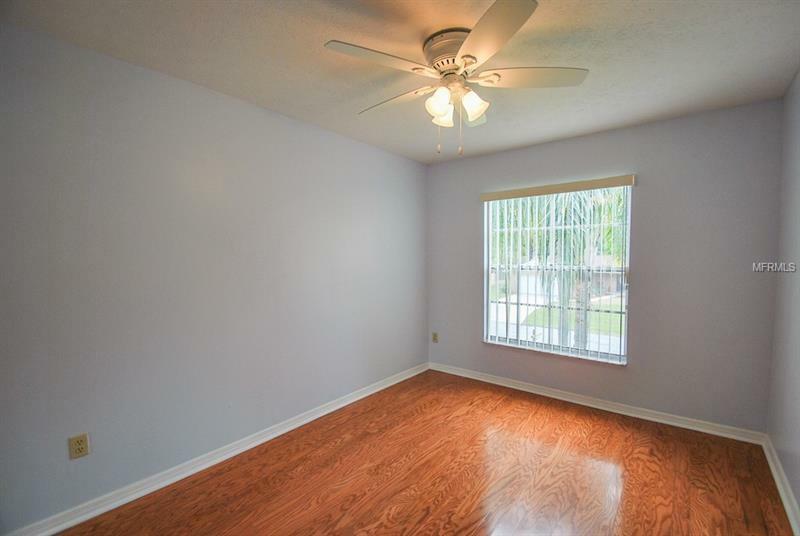 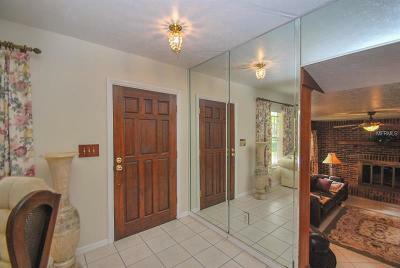 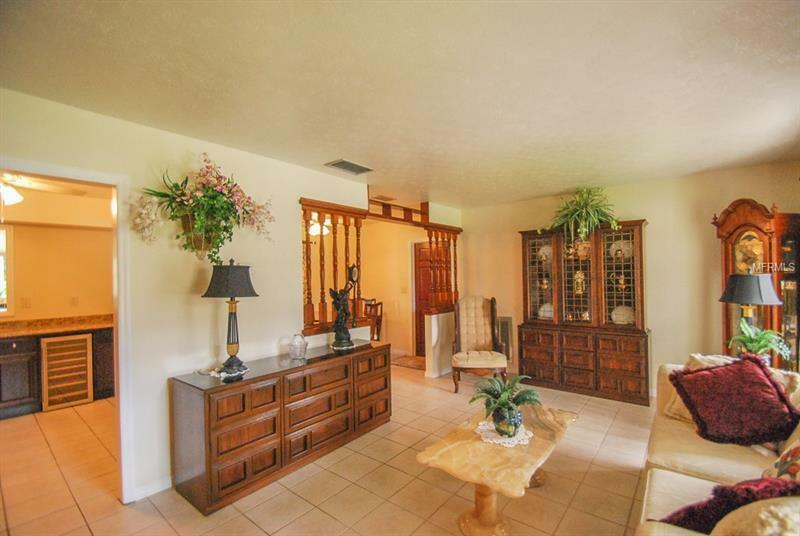 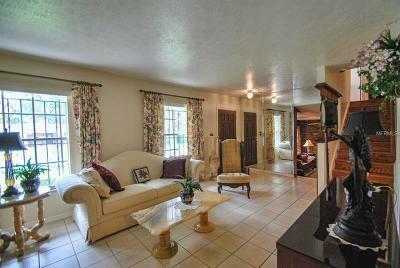 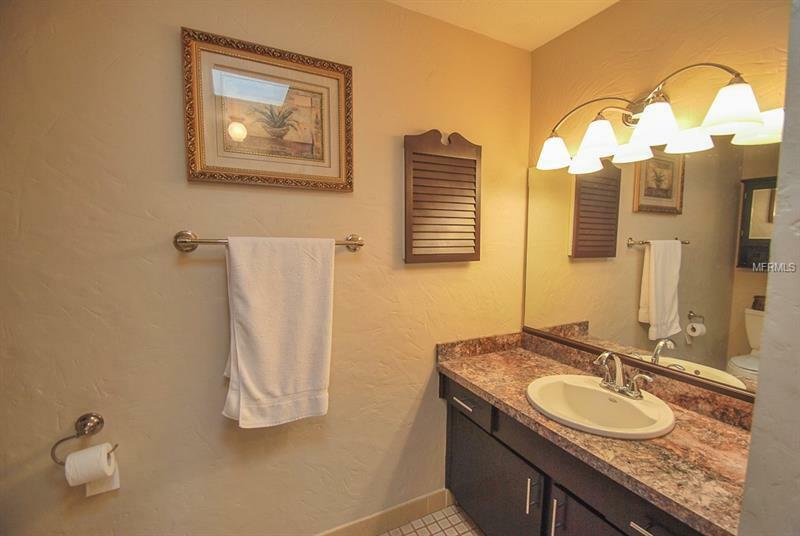 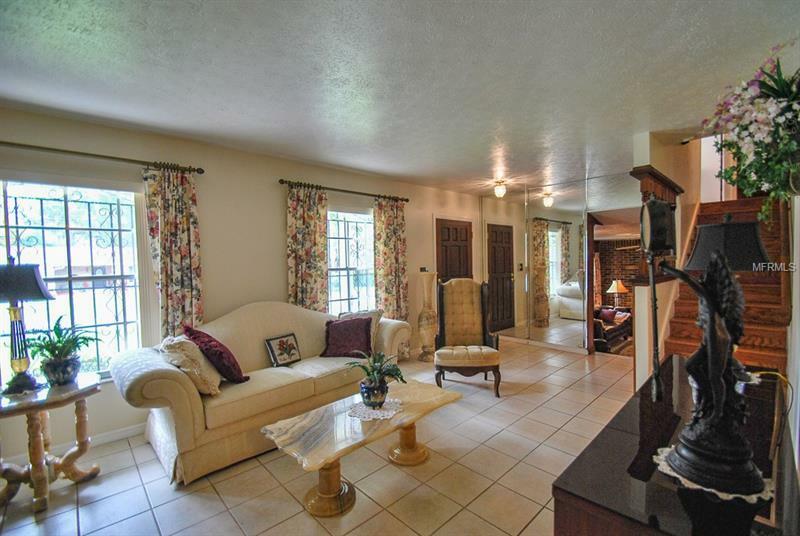 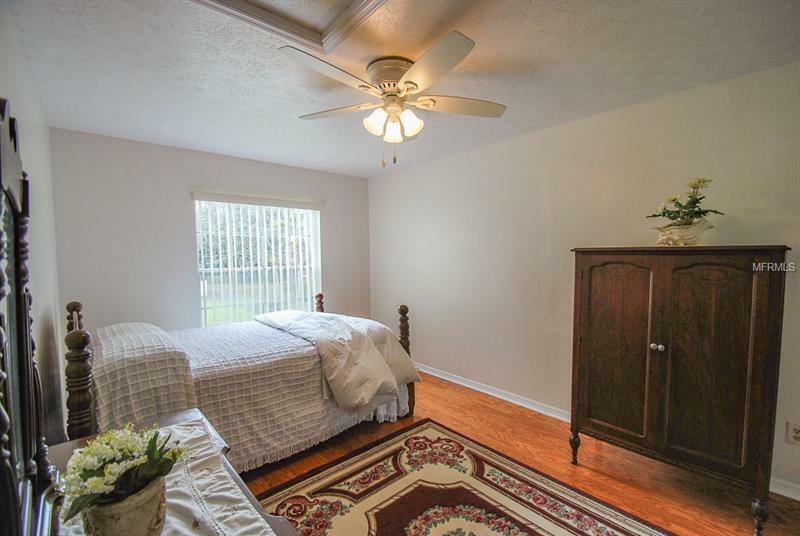 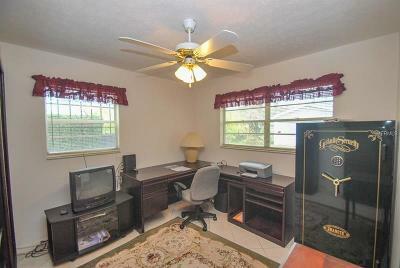 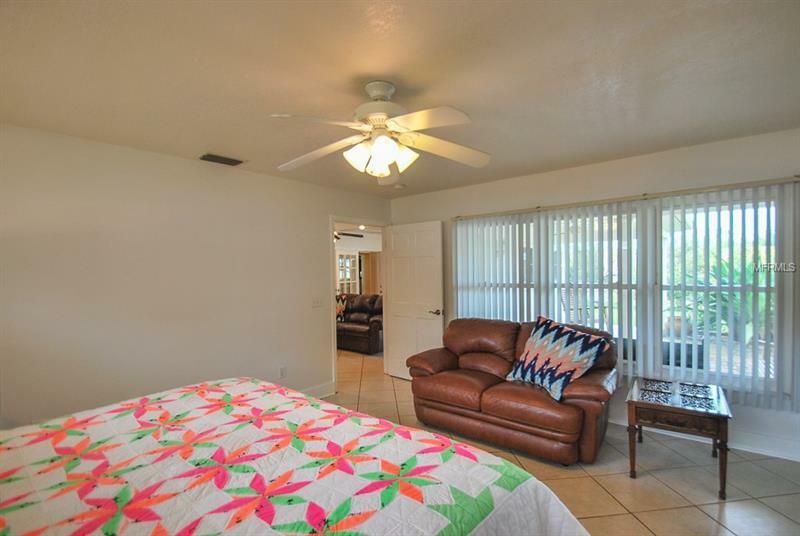 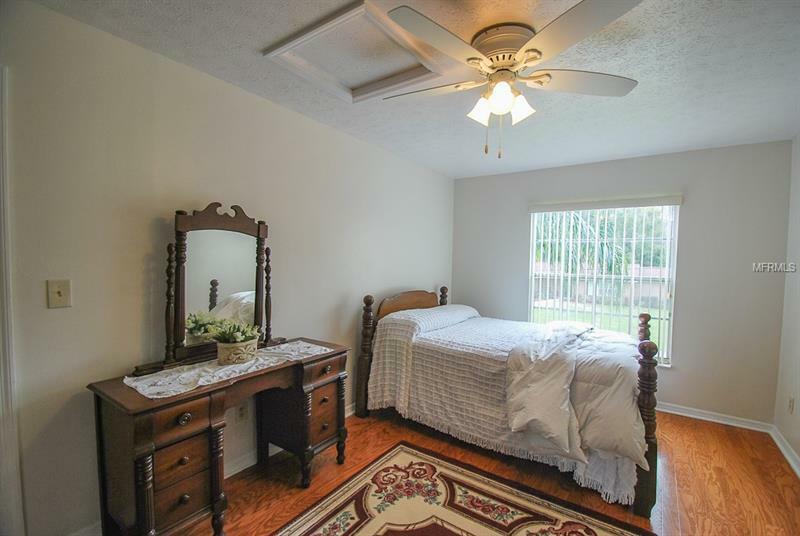 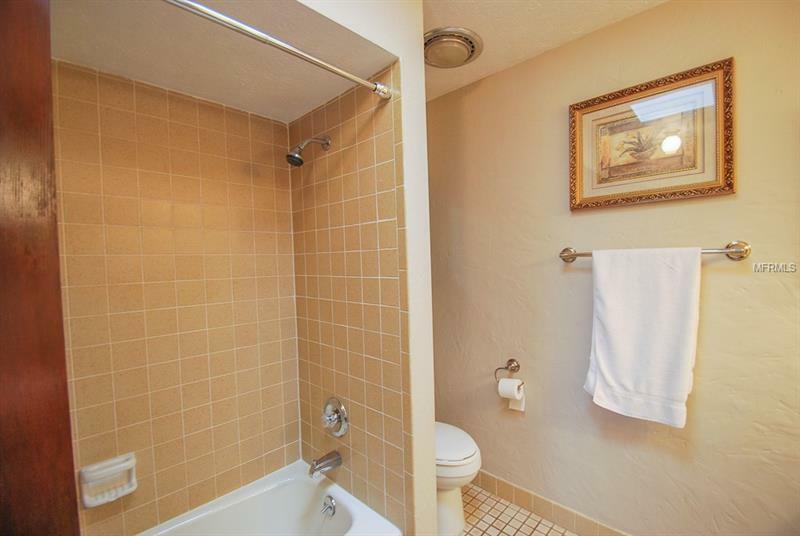 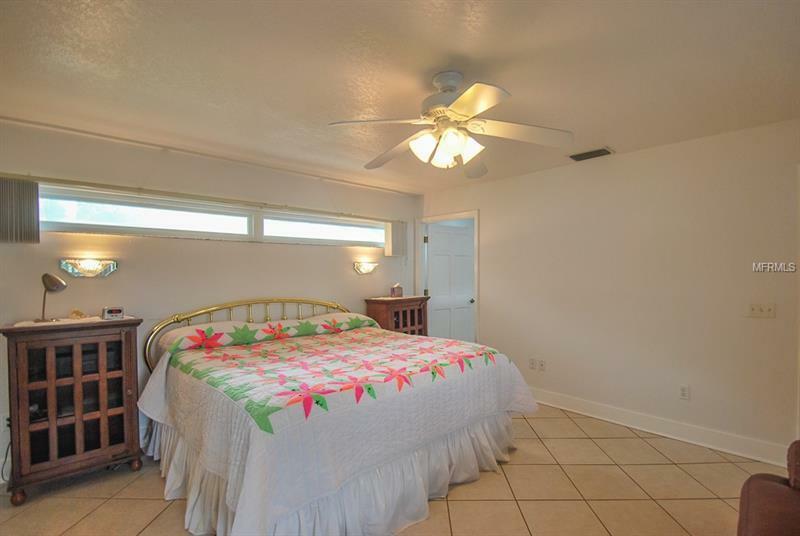 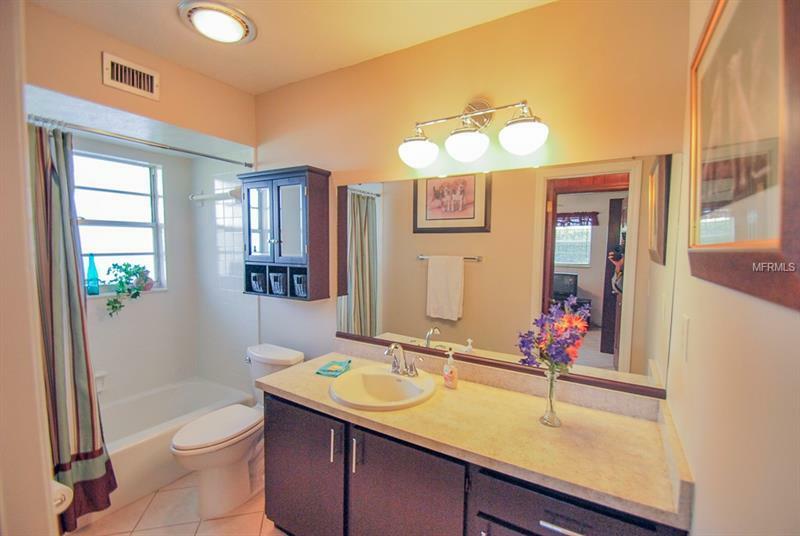 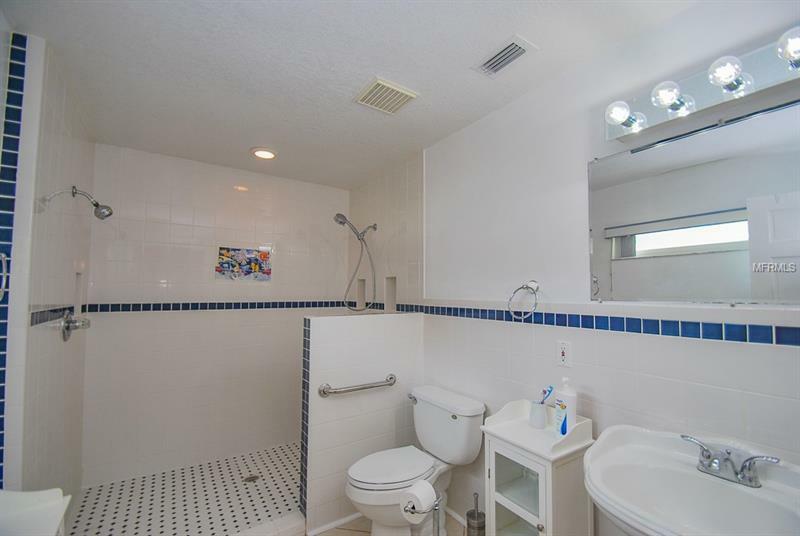 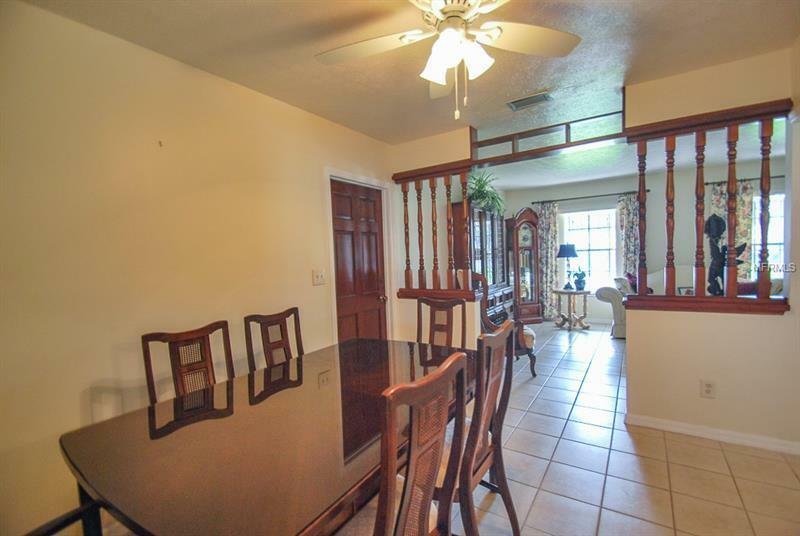 Located upstairs are two secondary bedrooms, a master suite and a full bath. 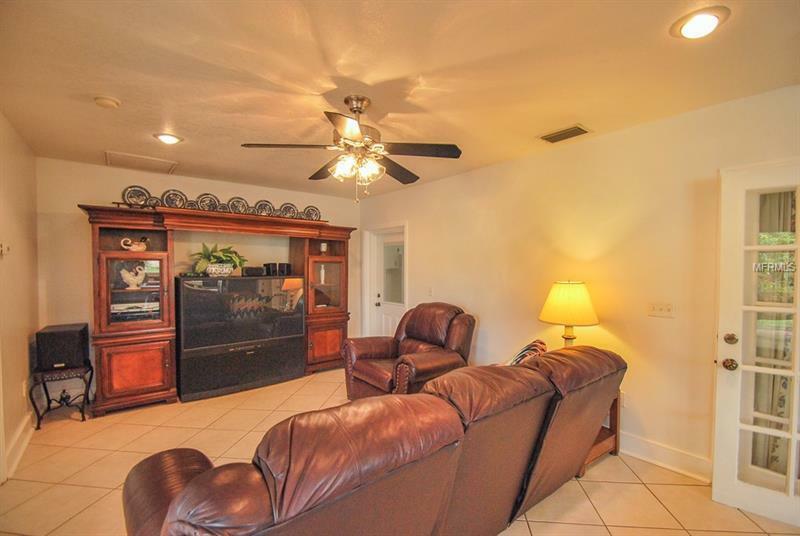 On the base level there is an additional sitting room featuring a gas fireplace, another bedroom and a full bathroom with a shower tub combo. The backyard can be accessed through the kitchen out two French doors. 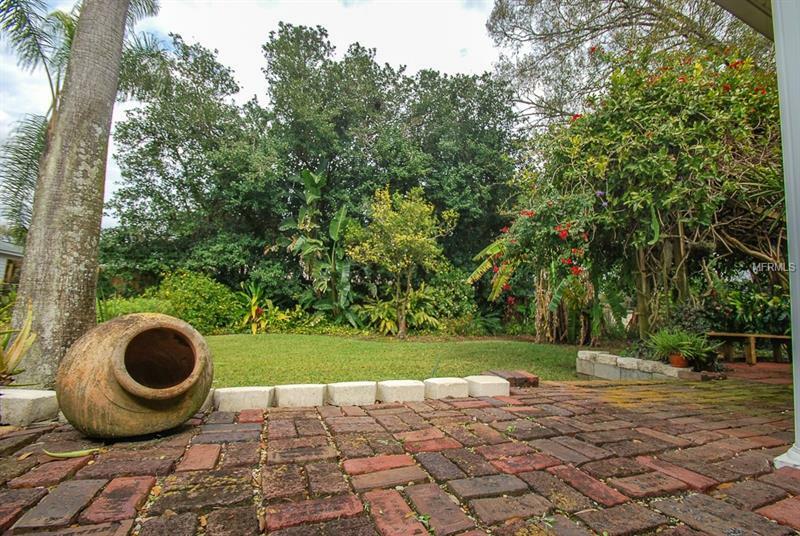 The backyard is a tropical paradise with established fruit trees and exotic plants. 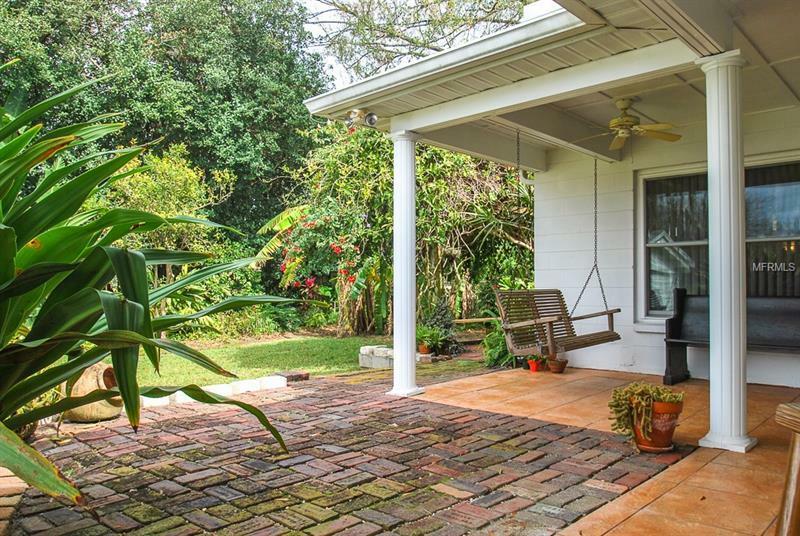 The patio is extended with antique Tampa bricks. 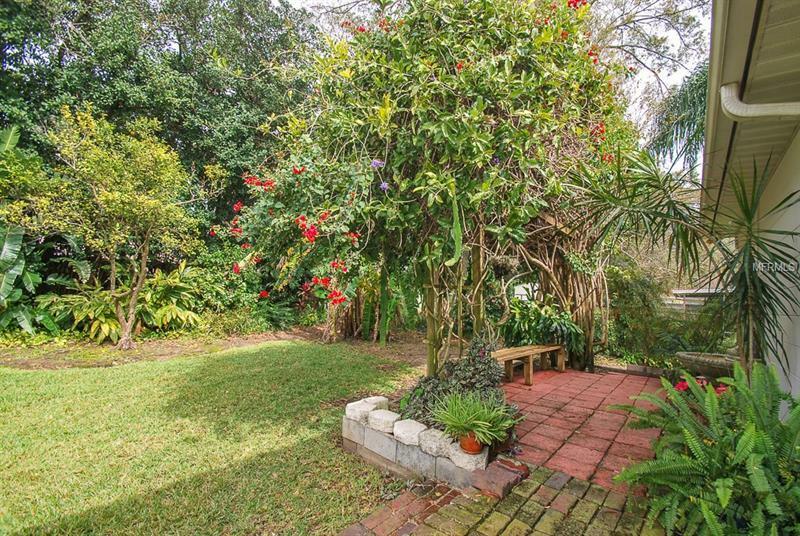 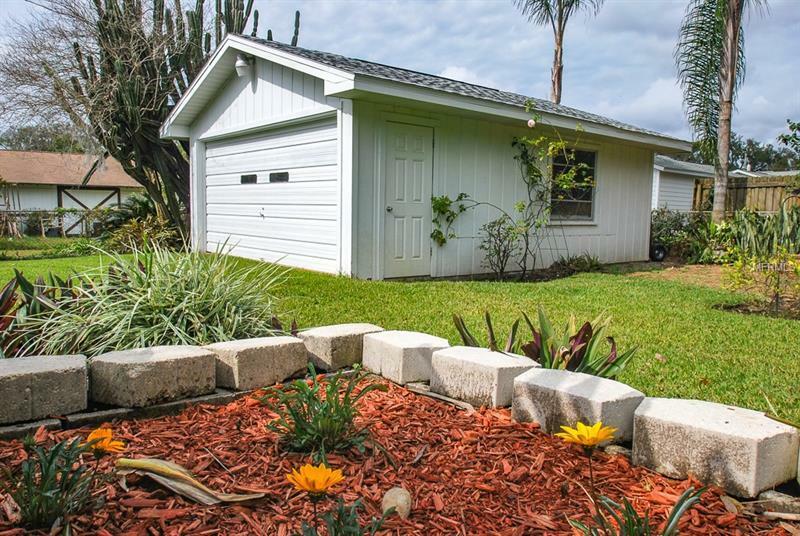 This tranquil backyard is complete with a large workshop. 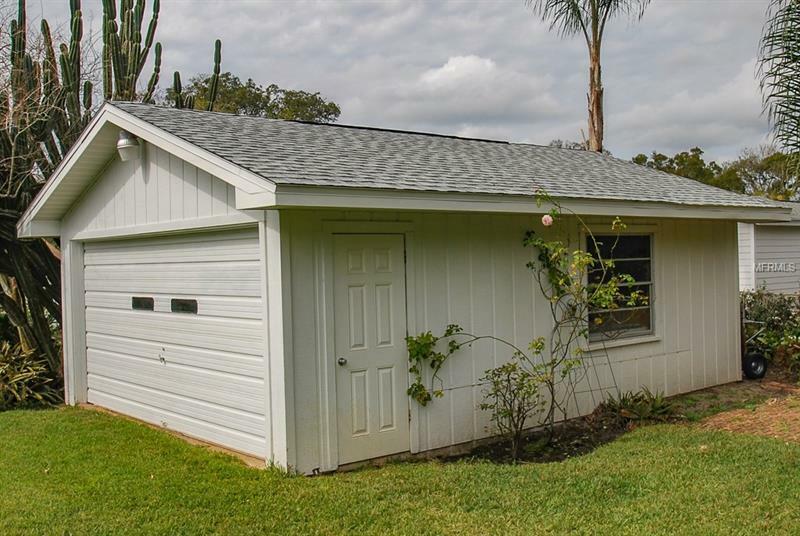 The roof on both the house and garage was just been replaced. 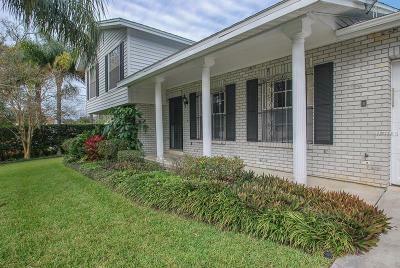 Located on a quiet dead-end street this pristine home has everything you are looking for to call home.